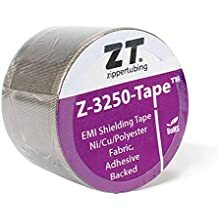 Terms - ZT | Zippertubing Co. The Site and its Materials are protected by copyright, trademark, and other intellectual property rights and laws of the United States and other applicable countries. You agree to abide by all applicable proprietary rights and laws, as well as any trademark or copyright notices or restrictions contained in the Terms. The trademarks, service marks, slogans, logos, trade dress and other identifiers (“Marks”) displayed in the Materials are our property, unless as otherwise disclosed. You are prohibited from modifying, copying, displaying, distributing, transmitting, publishing, selling, licensing, creating derivative works from, or using any portions of the Materials for commercial or public purposes without our express authorization. You may not copy any material from the Materials without the express prior written authorization of Zippertubing and subject to our copyright notice being affixed to the copied material. Nothing contained herein shall be construed as conferring by implication, estoppel, or otherwise any license or right under any patent, trademark, copyright or other proprietary right of Zippertubing. Zippertubing reserves the right to revoke the authorization to view, download, and print the Materials available on this Site at any time, and any such use shall be discontinued immediately upon written notice from Zippertubing. We may display advertisements or other content from third parties on the Site, such as banner advertisements, pop-up windows, and links to third-party websites. We are not responsible for such advertisements and content, or for any products, services, or other materials relating to such advertisements or content. Your linking to any sites from the Site is at your own risk. You are prohibited from using the Site to post or transmit any threatening, libelous, defamatory, obscene, scandalous, inflammatory, pornographic or profane material, any material that is contrary to applicable local, federal, or international laws and regulations, or any material that could constitute or encourage unlawful conduct. We may from time to time monitor or review material transmitted or posted using the Site, and we reserve the right to delete any material our company deems inappropriate. We are under no obligation to do so and assume no responsibility or liability arising from any material transmitted or posted using the Site. You are responsible for maintaining the confidentiality of your log-in credentials in connection with the user account you register using the Site (your “Account”). You are also fully responsible for all activities that occur under your Account, whether or not expressly authorized by you. You agree to immediately notify Zippertubing of any unauthorized use of your Account or any compromise of security. We use a third-party e-commerce vendor to collect and process your payments for any products and services you purchase using the Site. All purchases made through the Site may be subject to any additional terms and conditions set forth by the e-commerce vendor or as agreed to between Zippertubing and the e-commerce vendor. We shall not be liable to you or to any third party for any modification, price change, suspension or discontinuance of the products available on the Site. You have a legal obligation to pay for any orders indicated to be made by you. You must be of the age of majority in your jurisdiction to make online purchases. You are responsible for determining suitability of a product you purchase using the Site for your intended use. You agree to assume all responsibility for an injury, loss or damage, direct or consequential, arising out of your misuse of the product. We reserve the right, but are not obligated, to limit the sales of our products to any person, geographic region or jurisdiction. We also reserve the right to limit or prohibit orders that, in our sole judgment, appear to be placed by dealers, resellers or distributors. All descriptions of products or pricing are subject to change at any time without notice, at our sole discretion. We reserve the right to discontinue any product or service at any time. Zippertubing products are carefully inspected before shipment. As it is impossible to detect all imperfections, our policy is to replace such goods as proved defective. Zippertubing warrants that the product you purchase is free of defect in material and workmanship. Our only obligation shall be to replace such quantity of the product that you prove to be defective, and we shall not be liable for any damages, including consequential and special damages. No other warranties, expressed or implied, are given regarding our products. All technical information and statements contained herein about our products are based on laboratory tests we believe to be reliable, but the accuracy or completeness is not guaranteed under all circumstances. Claims. All claims of shortage or erroneous charges must be presented in writing within 10 (ten) days after receipt of shipment. All claims of defect and/or adjustments must be presented in writing to Zippertubing within ninety (90) days of the date of shipment. Return Material Authorization (RMA) must be requested and approved prior to returning any item; otherwise, the package will be refused at our dock. Restock fees will apply and are determined at receipt inspection based on the condition of the product and how much repackaging is necessary to return the product to a sellable condition. Custom and Non-Standard Products. Orders for custom products are non-cancelable and non-returnable. Lead times may vary, but generally a custom product can be built within ten (10) to fourteen (14) business days. Minimum and set-up fees may apply. Contact us for a custom quote on high volume or specialty purchases by emailing us at Sales@Zippertubing.com. United States & Canada. Net 30 days payment will be upon approved credit application. We will assess late charges (over sixty (60) days) of one and one-half percent (1.5 %) per month of the total unpaid balance. A surcharge of 3% of the total purchase amount will be added for all credit card transactions. International. Other international orders are to be prepaid by wire transfer or credit card. A surcharge of three percent (3%) of the total purchase amount will be added for all credit card transactions. Minimum Order. The minimum payment on an order is $200.00 on Zippertubing® Part Numbers, except for tools as priced and tapes (minimum 2 rolls). Order Changes. Orders are non-cancellable and non-returnable (NC/NR), as they are built to order. Once the order has been placed, it cannot be changed. Special Requirements. You shall make certain when placing a Purchase Order (written) that all Special Requirements are clearly specified (e.g., continuous length requirements, UL or CSA Identification, Certificates of Compliance, Certificates of Origin, reference to part numbers and or drawings, Quality Requirements, Special Packaging and Labeling, others as needed). Freight Options. The F.O.B. Shipping Point or "FOB Origin" option indicates the buyer pays shipping cost, and takes responsibility or title for the goods when the goods leave the seller's premises. Prepaid Shipments. By request, Zippertubing will prepay carrier of customer’s choice and add the freight cost to customer’s invoice. The title passes when the merchandise is shipped. Except as expressly provided otherwise in a written agreement between you and Zippertubing, all Services, including the Site and related Materials, are provided “as is” without warranty of any kind, either express or implied, including, but not limited to, the implied warranties of merchantability or fitness for a particular purpose, or the warranty of non-infringement. Without limiting the foregoing, Zippertubing makes no warranty that (i) the Services and Materials will meet your requirements, (ii) the Services and Materials will be uninterrupted, timely, secure, or error-free, (iii) the results that may be obtained from the use of the Services or Materials will be effective, accurate or reliable, and (iv) the quality of any Services or Materials purchased or obtained by you from the Site will meet your expectations. Some states or jurisdictions do not allow the exclusion of implied warranties or limitations on how long an implied warranty may last, so the above limitations may not apply to you. To the extent permissible, any implied warranties are limited to ninety (90) days. Zippertubing warrants that any product you purchase online using the Site is free of defect in material and workmanship. Zippertubing’s only obligation with respect to the products shall be to replace such quantity of the product that you prove to be defective, and Zippertubing shall not be liable for any damages, including consequential and special damages. No other warranties, expressed or implied, are given regarding Zippertubing’s products. In no event shall Zippertubing be liable to you or any third party for any special, punitive, incidental, indirect or consequential damages of any kind, or any damages whatsoever, including, without limitation, those resulting from loss of use, data or profits, whether or not Zippertubing has been advised of the possibility of such damages, and on any theory of liability, arising out of or in connection with the use of this site or of any website referenced or linked to from this Site. Some jurisdictions prohibit the exclusion or limitation of liability for consequential or incidental damages, so the above limitations may not apply to you. The use of the Services is done at your own discretion and risk. 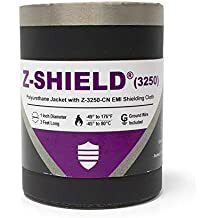 No advice or information, whether oral or written, obtained by you from Zippertubing or through or from the Site shall create any warranty not expressly stated in these Terms. You agree to indemnify and hold Zippertubing, and its subsidiaries, affiliates, officers, agents, co-branders or other partners, and employees, harmless from any claim or demand, including reasonable attorneys’ fees, made by any third party due to or arising out of content you submit, post to or transmit through the Site, your connection to the Site, your use of the Services, your violation of these Terms, or your violation of any rights of another person or entity. You agree that the laws of the State of Arizona, without regard to the conflict of laws principles, shall govern these Terms and any dispute arising out of your use of the Services or Materials that might arise between you and Zippertubing. The federal and state courts of the State of Arizona shall have exclusive jurisdiction over all claims. Notwithstanding the foregoing, you agree that we may, in our sole discretion, bring a claim in any forum in which personal jurisdiction can be exercised. We may at any time revise these Terms by updating this posting. You are bound by such revisions and should therefore periodically visit this page to review the current Terms. Additionally, we may terminate this agreement at any time, without notice to you, if we believe, in our sole discretion, that you have breached, or may breach, any term or condition of the Terms, or we may terminate this agreement for our convenience. You may terminate this agreement at any time by destroying all information received from our Site and ceasing to use our Services. We reserve the right, without notice and for any reason, to remove any Materials from the Site, correct any errors, inaccuracies, or omissions in any Materials on the Site, change or update any Materials on the Site, and to deny access of any user(s) to all or any part of the Services at any time and without prior notice. We reserve the right at any time and from time to time to modify or discontinue, temporarily or permanently, the Services (or any part thereof) with or without notice. You agree that we will not be liable to you or to any third party for any modification, suspension or discontinuance of the Services. The failure of us to exercise or enforce any right or provision of these Terms shall not constitute a waiver of such right or provision. These Terms and any policies or operating rules posted by Zippertubing on the Site constitute the entire agreement and understanding between you and us and govern your use of the Services, superseding any prior or contemporaneous agreements, communications and proposals, whether oral or written, between you and us (including, but not limited to, any prior versions of the Terms). Any ambiguities in the interpretation of these Terms shall not be construed against the drafting party.